I have a new kit this week! A very bright cupcake themed kit with some birthday word arts in it. Contains 10 papers and 23 elements. It's on sale today for 25% off so hurry up and get it! 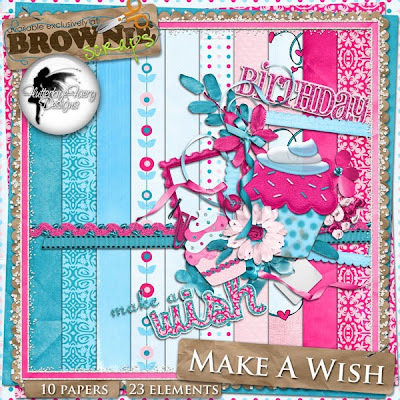 You can find it HERE at browniescraps! And I even have a little freebie for you all to go with it! all you have to do to get it is post to twitter or facebook!